This website uses both proprietary and third-party cookies to enhance your browsing experience and display content customised to your requirements. If you continue browsing, it will be considered that you have accepted their use. You can change your settings or obtain further information in our cookies policy. 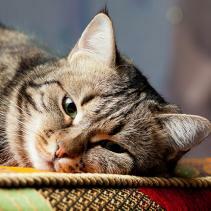 Urinary stones affect cats more than dogs. Dehydration, stress, obesity, illnesses or diet are some of the factors that can influence the formation of calculi. This article will help you recognise the nutrients that help reduce the risk of stone formation and advises you on how to prevent and treat the formation of urinary calculi. The formation of stones in the urine, kidney or urinary tract is a symptom of other more general urinary diseases, which are often referred to as «Feline Lower Urinary Tract Disease» (or FLUTD, by its acronym in English) . Between 0.5% and 1% of adult cats suffer it at some point in their lives. Urinary stones are among the most serious symptoms. They are certainly painful and, in the worst cases, they can block the urine flow and cause the death of the cat. The danger is greater in males, as they have a narrower urethra. Although we usually speak of «stones» it would be more accurate to speak of «crystals». These are composed of a number of chemicals which crystallise in urine. There are other types, but there are two which are the most common. One of the most common crystals is struvite (magnesium and ammonium phosphate). In the past, this was the most frequent calculus in cats, but its prevalence has declined because discoveries have been made on how to modify the pH of urine through diet and on how to reduce the levels of magnesium. To dissolve struvite crystals one can also use diet, reducing the pH of urine. The other most common type of crystals are oxalate crystals (calcium oxalate), which are more frequent due to the lower incidence of struvite, although there is less overall prevalence of calculus. Urine acidity may favour the formation of oxalate crystals, as can a reduced consumption of magnesium. Oxalate crystals cannot be dissolved by altering the pH of the urine, so it is necessary to do this surgically. Although there are other less frequent stones, such as those made of ammonium urate, uric acid, calcium phosphate and cystine. The reason why cats are prone to stones in their urinary tract is because they drink little water, implying a smaller volume of urine. This is the legacy of their ancestors, who lived in desert places. Crystals are more common in cats between 2 and 5 years old. The risk of blockage is greater in males, especially those who have been castrated, due to the narrowness of their urethra. 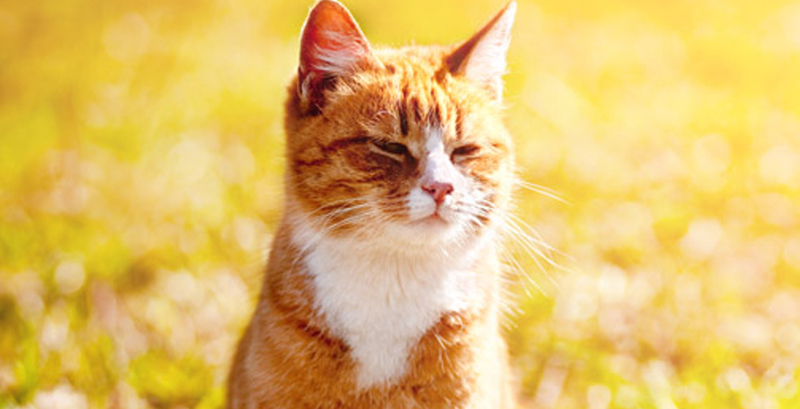 By contrast, feline lower urinary tract disease affects both males and females. Other risk factors include obesity, stress, infectious illnesses and dehydration. If you believe that a cat might have crystals or some type of urinary tract illness, you must immediately go to the vet, because a blockage could result in death within a very short period of time. To reduce the risk of that happening you must give the animal plenty of water to drink and feed it with dry or wet food that balances the pH of urine. 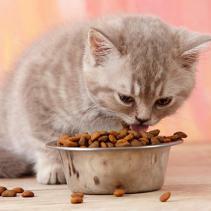 Cat food: My cat loves eating!